Even the greatest spin doctors cannot shun the accusation that the transfer was politically motivated. I have to concede, it is not easy to digest. But every once in a while, there is news that shakes up the political arena and sweeps the ground beneath your feet. This is one of those instances. Although more details are to be revealed, there are enough facts present at the moment for us to be reasonably alarmed. It seems, unfortunately, that the only “genuinely incorruptible” man in Pakistan has also been compromised. 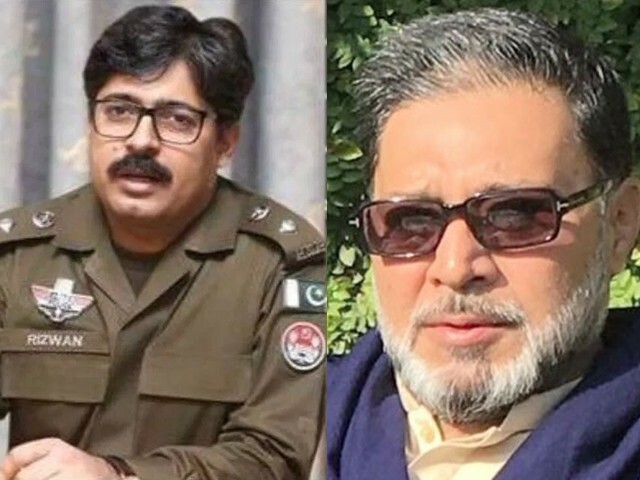 The district police officer (DPO) of Pakpattan, Rizwan Gondal, was reportedly transferred after he intercepted Khawar Maneka, former husband of Prime Minister Imran Khan’s wife, Bushra Maneka, for speeding. The DPO and Khawar were asked to resolve the matter by the former apologising to the latter. Gondal refused to apologise, stating that the police had done nothing wrong and were just doing their job. Reportedly, this led to him being transferred. The matter is said to have involved Punjab Chief Minister Usman Buzdar, and by extension, one could reasonably assume that there is some involvement of the first family as well. It is also alleged that Bushra interfered in the matter and informed relevant authorities to get the issue sorted as soon as possible. Alternate versions of an incident are always present, but in the age of information, they are increasingly hard to validate. Imran Shah, the PTI MPA from Karachi, scrambled to sway the narrative, but could not gain traction with even the staunchest of supporters. Eventually, he had to cave in, though not entirely, and admit defeat. Similarly, this incident seems to be heading the same way. So far, there does not seem to be a credible alternate version of facts that supports the untimely transfer of the DPO. And it seems highly unlikely that an alternate version of the truth can be presented. Even the greatest spin doctors cannot shun the accusation that the transfer was politically motivated. And it does not help the government that the officer in question was a topper in his CSS exams, and hence makes it more difficult to discredit his story in the eyes of the public. Although a pretext will be found, there is no doubt. And 48 hours are enough time to do it. However, it will only be for the consumption and reiteration of the state-controlled media. Instaead of being ashamed the higher authorities are now making the poor DPO Pakpattan a scapegoat. He is being called a liar and negligent in his duties because he dared stop his highness Khawar Maneka. Naya Pakistan. Imran’s manifesto and narrative was dominated by an anti-corruption motto which was later translated into the “austerity campaign”. The campaign serves as a symbol; the government is here to serve and not rule its people. Hence, were it any other political party that tried to influence an institution, it may not have caused the uproar that it did. But someone in or related to Pakistan Tehreek-e-Insaf (PTI) involved in something like this just seems hypocritical. What further increases the gravity of the matter is that PTI substantially banked on Khyber Pakhtunkhwa (K-P) votes by its claim of depoliticising the police. It laid down a vision of rule of law, with no exceptions. As Imran very recently stated in his speech, every man regardless of his social standing ought to be equal in the eyes of the law. A more blatant contradiction in what is said and what is being done cannot be presented. All the aesthetic work of Asad Umar travelling in economy class, Imran hiring only two servants, Arif Alvi driving his own car without any security or protocol or road blockage, and Imran Ismail not living in the Governor House goes down the drain. The whole “austerity campaign” is reduced to mere words because it shows that the government will make exceptions and will bend the law at its discretion. The Finance Minister of IK’s Govt, Mr Asad Umar traveling in economy class like a common man. And what started as a mere issuance of a speeding ticket could eventually hamper the government’s vision of broadening its tax base, because it has lost its credibility. It’s a stretch, but it is still a huge loss as far as optics are concerned. And good optics command an obedient population. Whether this incident will set a precedent for further monarchical behaviour is a matter of debate. On the one hand, one could argue that this incident could be deemed an exception because the PM’s family was directly involved, and similar exceptions will not be made for other big-wigs because they do not carry the same power. However, this could also be used as an example to bend the law, as the ministers see fit in the future. Because if the PM’s wife’s former husband can do it, then why can’t a party loyalist avail the same privileges? And as it turns out, it did not take that long for one of these loyalists to avail the opportunity themselves. Sheikh Rasheed, a prominent ally of Imran, was recently seen using the police for his own benefit in Rawalpindi. A video surfaced of a traffic warden knocking over bikes to make way for the railway minister’s government car and security detail. In doing so, he damaged private property. Local traders complained that they had wanted the area to be cleared out too but it had not been done so. Rasheed reportedly said that since he is a minister, he has the power to remove encroachments, if he wanted to. So even if, somehow, we understand the justification that a certain exception had to made given it was Bushra’s former husband who is the accused, what action will be taken in Rasheed’s case, if any? Will we receive another justification that holding Rasheed accountable will create political rifts between the two allies? This is dangerous territory, but PTI has chosen to enter it. If the party wanted to find a way around the law for themselves, why did it claim to be different from other parties in the first place? There is nothing new in what is happening at the moment, we have all seen this power of privilege time and again with previous leaders and that is possibly PTI’s first failure since making the government. This may not be the US but people here certainly have expectations of the first lady. Kulsoom Nawaz has always been instrumental for Nawaz Sharif’s campaign and Bushra too curbed dissenting voices within the women in PTI. Thus, if the first lady were to be involved in this incident, it would not only open her to accountability but also implicate Imran directly. Implicate him in something that he accuses others of. Put him in the position where fingers may be pointed at him for corruption, putting his family first and bending the rule of law for them and himself. He will be accused of siding with everything that he had stood up against. All that fight for justice, is this what Imran wanted all along? Predicting the future is beyond us; however, some precedents are too strong and hence can shape behaviour. This had the potential to be one of those incidents. If Imran’s own family was subordinate to the law, then Imran’s repeated pleas to the public servants of this nation asking for their fidelity to the law and the Constitution would not have fallen on deaf ears. Unfortunately, it seems that there will always be people above the law. As of now, Prime Minister Imran has taken notice of the incident and has asked Buzdar to submit an inquiry report. 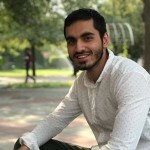 It remains to be seen if strict action will be taken against Khawar, if he is proven to be guilty, but what is perhaps more likely is that we will be presented with those “alternative facts” soon enough. Laws, whichsoever, cannot change the extreme intolerant, extreme social unhygienic and extreme violent mentality of Pakistani people who are above the age of 8 years! opportunity to blame Imran Khan. YOU have enough water to drink and take a shower…once a month. or Malir River, or Hub River,…by the way you can go see the dust blowing in the Hub Dam/reservoir. Because the Water Mafia stole all the water.